Last summer the Educator Academy in the Amazon was fortunate to be featured in the Place-based Education edition of Green Teacher. As we prepare for our 2017 program, we can’t wait to introduce the Amazon to a new group of teachers and help them create deeper global and local connections for themselves and their students. As the sun sinks below the treetops, the hum of an outboard motor becomes audible over the cacophony of jungle sounds that signal nightfall in the Amazon. Moments later, a small boat pulls into view and 28 educators from the United States clamber into the humid twilight at river’s edge. Gazing up at the rainforest, most are unaware they are about to be transformed – personally and professionally – through their deep exchange with this place called the Amazon. For the next nine days, the Amazon will serve as teacher, mentor, and guide – equipping these educators to return to their classrooms with new perspectives on how to help their students make sense of their world. Learning in the Amazon favors inquiry, personal discovery, and the ability to ask good questions. It requires a holistic, multi-disciplinary lens to understand its complex past, present, and future. Its preservation calls for local engagement and global collaboration. But is it really necessary to travel thousands of miles by plane and boat to reach a remote field station in the rainforest to accomplish this? After all, one of the most basic tenants of place-based education is to focus on the local rather than on distant places like the jungles of South America. 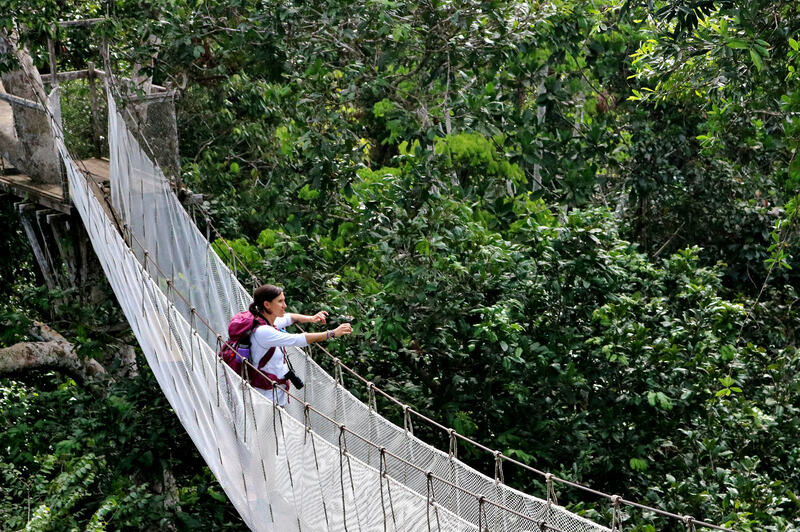 This article will explore how an experience in the Amazon serves as a touchstone to better understand one’s place in the world. The mere mention of the word Amazon conjures up images of snaking rivers and strange wildlife or “Save the Rainforest” t-shirts and fundraisers. The Amazon, the world’s largest rainforest, shelters more than 10 per cent of the planet’s known biodiversity, with new species still being discovered at the rate of one every three days. Its rivers and tributaries account for more than 15 per cent of the world’s fresh water and its forests store more than 90 billion metric tons of carbon. 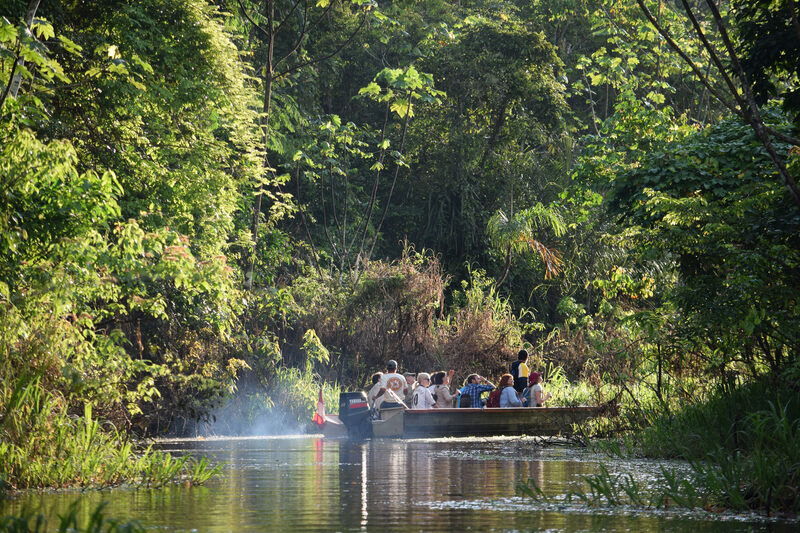 To say that the Amazon is a critical global resource is simply an understatement. These facts are brought to life for educators as they explore and experience this vital ecosystem for themselves. But is that enough? One still might question how this first person experience with the Amazon translates into changes in instruction once the educators are back home. How does it provide educators with the transferable skills and new understandings needed to successfully forge global connections for their students? ← Project Learning Tree – Creating Connections to the Amazon and Your Classroom!